In this interview by BAM, Rob Stein, Deputy Director at the Dallas Museum of Art, talks about what is the most important thing in the relationship between digital media and culture and how the DMA use metrics to develop strategies. Rob Stein at Museums and the Web Florence 2014 from BAM! Strategie Culturali on Vimeo. In this interview by BAM, Cory Doctorow, Writer, blogger and activist, talks about what is the most important thing in the relationship between digital media and culture. 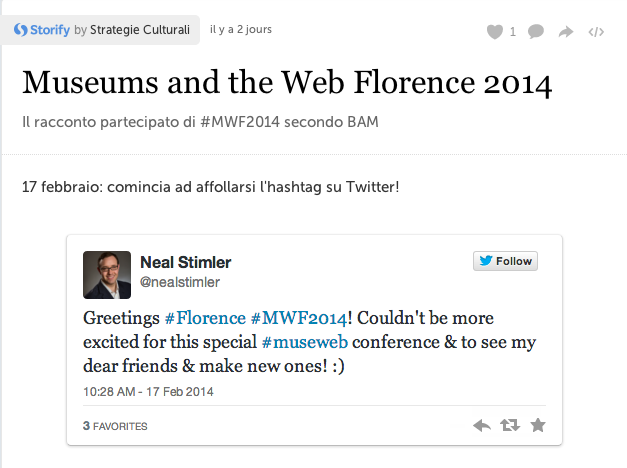 Cory Doctorow at Museums and the Web Florence 2014 from BAM! Strategie Culturali on Vimeo. PhD, consultant on heritage marketing, social media and mobilities. Stefania Chipa is one of the minds behind MWF2014. Stefania has coordinated communication projects for the Basilica of Santa Croce and the Museum of Natural History in Florence. At MWF2014 she will be chairing the Social Media Best Practice Parade (check out who else is there) and participating in the People, Places and Things: how to create connections with audiences Masterclass, that promises a lot of food for thought. In the meantime, you can take a look at Stefania’s LinkedIn profile and check out her publications and essays that deal with some of our favorite subjects: digital museums, social media and augmented reality. We asked her 3 questions about the conference and the value of the “network” applied to the event, to the heritage discourse and to the museum community. – What is the main goal in bringing an international conference that deals with digital in museums and cultural spaces in Italy? The digital dimension is part of our daily lives; we are living in an era in which digital is one of the languages that we use to communicate. This does not only apply to “mobile generations” : digital literacy is one of the skills that citizens are expected to have and reinforce. Italian museums need to reflect upon this dimension. Registrations for the Conference from Italian museums could have been greater. I don’t mean to be critical, however, I think this is something we should reflect upon. We can imagine that this is due to different reasons: MWF2014 uses digital channels for its promotion (such as blogs and social media), which are tools that not all museum professionals are confident in using (probably this doesn’t apply to the museum sector). Another reason could be that Italian museums have recently started to work and experiment in the field of digital and they probably need more time to face an international audience. We will be able to ponder this aspect when the Conference is finished. In any case, we need to ask what skills and competencies museums would need to implement digital strategies. By looking abroad, we can see how know-how and planning are required: there is no space for improvisation. Trained professionals are in charge of these roles in museums in Europe and in the rest of the world. MWF2014 will be an opportunity to meet chief of digital strategies from Louvre, Tate, MoMA, the Science Museum of London, Museum of London, Hermitage Museum and Metropolitan Museum of Art. – What does the choice of Florence mean to you? The idea for the Conference started here, in Florence, in November 2012, when two separate events (created by Laura Longo, Ilaria D’Uva and me) made us realize that there was a deep interest toward the subject. We met Nancy Proctor, who was at the time Head of Mobile Strategy and Initiatives at the Smithsonian Institution, now at the Baltimore Museum of Art, and we involved Museums and the Web in the project. MWF2014 aims at the creation of a platform for discussion and exchange, we hope it will kick off the conversation on matters that Italian museums can no longer ignore. The idea of network, that generates connections and diffuses good practices, starts right at the core of the Conference’s main topic. MWF is in fact “networked” throughout the city. Cultural heritage in Florence is also networked, as deeply tied with the city and its citizens. The whole city is a UNESCO World Heritage Site, not just a monument. And we define as networked the logic behind social media, one of the most lively forms of the digital dimension. – MWF will bring together international professionals and projects allowing them to create and extend the community of practices: an opportunity that has never happened before in Italy. What do you think about communication among institutions and their ability to “network” on common issues and themes? I believe that MWF will be a great opportunity to start creating a community of practices that collaboratively work around these themes in our country. There will be 100 international lecturers, over 20 museums, 170 companies and vendors that operate in the cultural sector, over 50 projects will be presented. This is just the beginning. As a ‘museums internist’ and social innovator, Theodorus Meereboer likes to turn organizations inside out and outside in. Theodorus will be joining MWF from the Netherlands. He is the founder of Erfgoed 2.0 (heritage 2.0), a social network for (Dutch & Flemish) heritage professionals, founder of E30 Foundation, as well as guest-lecturer at the Reinwardt Academy in Amsterdam and the Fontys University. He will share his expertise with the MWF community on new engagement processes and strategies that generates sustainable models. Interested? Join us for the Masterclass “Relevant Forever: Business models and (digital) tools for sustainability” during the afternoon of Friday 21st. Take a look at the program and register here. Theodorus was so kind to share with us a few thoughts on the Conference, the Masterclass and the networks that move around the heritage world in the Netherlands and elsewhere. – What are the keywords that better describe your expectations and thoughts for Museums and the Web Florence? The Museums and the Web conference in Florence is important because it not only focuses on the Web, digitization or mobile tools, but also connects with the community, the city and society. Maintaining relevancy and sustainability are currently the biggest issues for cultural institutions. After Weinberger stated that the Internet is small pieces loosely joined, we now face an era in which all ‘parts’ (data, things, locations, people and opinions) will be joined. Where technology enables us, museums (together with archives and libraries) should be the hubs that will reflect on and act upon these possibilities with meaning and conscience. Considering this, what word would describe my expectations and thought for the conference best? Importance? Meaning? Interest? All three are true, but I am also curious about the people that will be attending the conference. So network is also a description. – How do you think organizations and professionals in Europe create networks to share knowledge and innovation, as opposed to the USA, and why do you think this is important? It’s just my impression, but I think in Europe there are big differences in the tendency to share knowledge and the levels of cooperation that exist, due to differing cultural and scientific backgrounds. Still we can see a great effort to build networks or make use of existing networks in each country and currently more and more of these networks get connected. In the Netherlands, we started a network for heritage professionals (Erfgoed 2.0) about 7 years ago. From the start we not only built an infrastructure, but we considered the networks as a kind of ongoing conference, wherein actually meeting people and exchanging experiences and opinions was just as important as sharing knowledge. After that I coordinated two other, quite similar networks (but with different topics). Although the Dutch language area is very small (and therefore there is a significantly smaller group of people who would possibly want to use it), the network grows relatively quickly and remains important for most professionals. Maybe that’s because we linked these networks with a diverse use of social media and a growing offline presence (workshops, conferences, lectures etc.). Gradually the network became a knowledge ecology, or a ‘sharecology’ (not only knowledge but also experience, activities, opinion, passion, enthusiasm, etc.). I hope that we can also add to the network a bit of ‘Good old European socialism’. In that case, we can also support connected professionals by giving mutual training, providing job opportunities, mediating internships, facilitating labor mobility within Europe, or even influencing (local) politics for example by working together with schools and after-school care in the area of heritage education and literacy. This development, in which museums are actively involved in societal developments (for example smart cities) will emerge, in my opinion, especially from the bottom up, from the heritage professionals themselves. – The Masterclass you will be chairing at MWF deals with strategies that can help museums engage in sustained relationships with their audiences. Could you share a few thoughts about how you think institutions could stay “relevant forever” in the rapidly changing environment they live in? The relevance of museums strongly depends on their ability to communicate with their audiences (communication = education = literacy = experiencing = interaction, etc.). According to Rich Cherry, most museums are mainly driven by the question “how do I get money? !” The answer may be in the combination of these two propositions. Finding money starts with knowing and sharing your identity as a museum: ‘why are we here and for whom’. We talk a lot about engagement nowadays, funding by friends and fans. Museums are therefore in search of the attention (and money) of fans, friends and visitors. To get attention, museums should pay attention to topics and issues that are important for their audience and in society. That leads to a dialogue, which leads to added value and accompanying propositions. Participating in a sharecology and making valuable contributions is a prerequisite. In the Masterclass, we work step by step to a basic plan for fangagement and associated revenue models. We do this by understanding what business we are in, by understanding the identity and brand values of the organization, by personifying this identity, by getting an understanding of the assets, the main activities, relationships and distribution channels (“venues or meeting places”) of the organization, to find out who to follow and who to involve using social media. 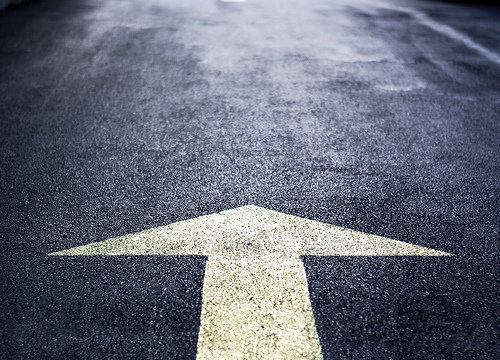 Which all together will lead to a sustainable business model. Ilaria D’Uva is one of the organizers of MWF2014. Ilaria is CEO of D’Uva Workshop and works almost primarily with cultural institutions employing the latest in modern technology. Through her job, she and her team provide churches, archeological sites, museums, art cities and exhibitions with tools and strategies to tell unique stories. We are looking forward to meeting her at MWF! In the meantime, we had the chance to chat with her (while she was multi-tasking by answering our questions and replying to emails, while surrounded by her three children who were climbing on her chair to get her attention 😉 ). Well, we can say that MWF has already been a success. The number of registrations from professionals around the world, from the Netherlands to Spain, USA to Greece, demonstrates it. Furthermore, the participation of Italian museums reveals a surprising interest in the themes of digital, mobile, storytelling, etc. However, I have to admit, the number of Italian museums and professionals engaging in this opportunity of exchange on an international scale, is not as great as I would have liked. There are of course exceptions, as demonstrated by the Italian organizations that are present in the program as well as the many institutions throughout the city that will host the Conference. Unfortunately, the Italian cultural sector still lacks a structured idea of digital culture. The very concept of “digital interpretation” is not clear or not considered worth exploring as much as it is abroad. All in all, we can say that MWF will be a success if the participation in the conference demonstrates a larger and more active interest on the part of Italian cultural institutions. – We can say that, through your job, you work “in parallel” with the cultural sector, consulting with institutions on strategies and providing them with the technologies they need for interpretation and expanded access to their collections. Could you tell us a little bit more about what you can see from your point of view, and what can you tell us about this sector in Italy? Honestly, I look at the Italian cultural sector with concern. In Italy there are no longer requests for proposals (RFPs) for the appointment of services in museums (such as audio guides and interpretative tools). This causes the vendor market to freeze with consequences in innovation and newness in the services offered. RFPs to appoint technologies in museums are not even existent in Italy. Abroad, the situation is very different. On the other hand, I can see that the world of churches is actually very sensitive and participating in the discourse around digital. Hopefully, MWF will bring a broader international vision that will generate awareness on the subject. – Amongst the themes that will be explored by MWF sessions, such as mobile, crowd sourcing, storytelling, 3D etc, do you think there are some that you would like Italian cultural institutions to embrace? Why? Too often we end up adopting a technology only because it is new and appealing, rather than working on contents and find the technology that is most suitable to deliver and handle them. Take for example QR Codes: there is actually no difference between scanning a code and typing an object number into an audio guide. But it’s another thing entirely to have a story told in different ways and through different media, that actually make you feel engaged with the art you have in front of you. There will be many opportunities to explore this concept during MWF, for example during the Masterclass “How to tell a story through the Graphic Novel”. I would like to see storytelling explored by Italian institutions, together with crowd sourcing. The latter, however, would take a lot of “openness” from institutions. I believe that crowd sourcing could be a huge resource for museums that need to bring culture closer to audiences. 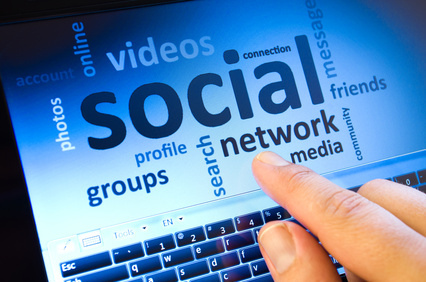 To do so, they will have to use the same tools their public use, such as mobile devices, social media etc. and the same languages, thus including a variety of interpretations and implementing different ways to access collections in order to stay relevant. With a PhD in American art history and a background in filmmaking, curation and art criticism, Nancy Proctor is Co-Chair of Museums and the Web and she is about to join the team of the Baltimore Museum of Art as Deputy Director for Digital Experience. 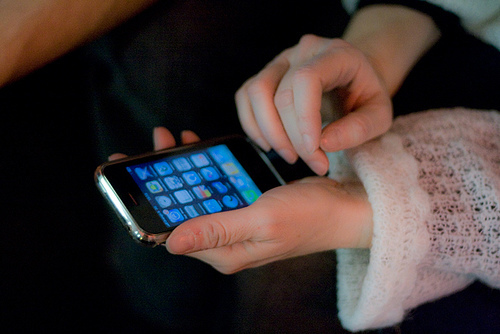 Mobile engagement, crowd sourcing, accessibility, digital collaboration. These are just some of the themes that form Nancy’s expertise and interests. She worked for 6 years at the Smithsonian Institution, most recently defining and building its mobile strategy around the motto “Recruit the world” to increase and diffuse knowledge. By making use of the potential of mobile technology to establish two-way conversations, personal devices become microphones through which visitors can collaborate with the institution, enhancing accessibility and interpretation of collections. You can look at more mobile-inspirations on the MuseumMobile.info, its wiki and podcast series, that Nancy manages. – Why did Museums and the Web select Florence? 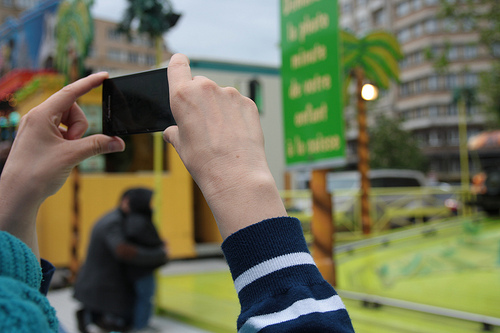 Storytelling, digital access and engagement, participation, are amongst the innovative approaches to connecting society and communities with cultural heritage. Such approaches require museums to re-invent the way they communicate with the public, extending their reach far beyond the institution’s walls. Florence, like so many European cities, is an “open museum” par excellence and therefore is the perfect place from which to reflect upon smart cities and the integrated role that culture plays in their creation. – What do you expect from this conference? To expand the MW community and discussions about technology and cultural heritage to include new colleagues who have not been able to attend MW in North America or Asia before. We are also looking forward to learning about new projects and from new colleagues at the Florence meeting. – What is the paper/project that will be presented that you are more curious about? I can’t pick favorites! But I’m very excited about the Mobile Summit on 18th February as it’s the first time that we’ve been able to bring together such a large group of mobile practitioners to address common issues and solutions. Hopefully this will lead to new kinds of collaborations and better mobile experiences for cultural heritage visitors. Community. This is the word Neal Stimler, Associate Digital Asset Specialist at the Met in NY, connects to Museums and the Web. The creation of an extended community of practices, that comes together to learn and interact, is in fact one of the biggest assets of such an important international conference. From 18th to 2th1 February 2014, museums and heritage professionals, as well as people interested in communication, technologies and contemporary languages, will have the chance to be part of this community during Museums and the Web Florence. Neal Stimler is a Google Glass Explorer and participates in experimental programs with The Met Media Lab. At MWF2014 he will chair a session on How to Google-Glass. By taking an interdisciplinary approach that merges art history, cultural studies, digital technology and sociology, Neal advocates for digital humanities methods of collaboration and inquiry as the core of museum practice. We picked his brain with a few questions to better understand his work. 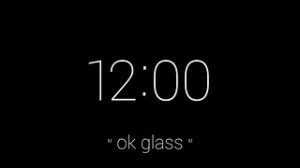 You can join the session on Google Glass on Thursday, February 20th at MWF. Take a look at the whole program here. Despite the example of the Egyptian Museum in Turin, with the project Google Glass 4 lis, Google Glass and its potential might still be considered as “science fiction” by Italian museums (and probably not only by them). Do you think that, besides the obvious limitations, is there some kind of “mind set” that causes resistance from museums in embracing the newest technologies? If you could give one piece of advice to Italian museums in this sense, what would it be? Google Glass and other wearable technologies are part of the immediate present – the now. Wearable technology is a fact of our world. Museums and cultural institutions can engage wearables in an effort to understand applications for their staff and public. Curiosity about the world is vital to the process of humanistic scholarship in museums. This openness applies to innovations in technology as well as new methods and means of intellectual inquiry. On the other hand, start using a “shiny new technology” to adapt to the rapid changes of technical innovations can be also problematic for a museum in terms of sustainability. How do you think this might apply to Google Glass? Museums seeking sustained relationships with their constituents need to devote resources and time to engaging the public via mobile devices like smartphones, tablets and wearables like Google Glass. As the organizers of the Museums and the Web Florence already identified with the conference themes, society is in a new cultural paradigm – one defined by the hybridity of our physical and digital lives. The public’s engagement with museums on social media and open access to digital content via personal mobile devices are keys to sustainability. What is the session of MWF that you are most curious about? I am excited for the keynote addresses by Rob Stein, “Connecting the Dots: How Digital Methods Become the Glue that Binds Cultural Heritage to Contemporary Society,” and Cory Doctorow, “GLAM and the Free World.” In addition to visiting Florence’s venerable art museums, a visit to the Museo Galileo is an important part of my experience of the conference as this combines my interests at the intersections of art and technology. For more about Neal Stimler’s work with Google Glass at The Metropolitan Museum of Art, take a look at the Digital Underground blog. In the Sala D’Arme of Palazzo Vecchio (Demonstration Hall) throughout the days of Feb 19 & 20 there will be a “Makers Corner” powered by MakeTank, with a 3D printer in action and an exhibition dedicated to digital technologies and how they may be used in a museums context. Members of the MakeTank community as well as architects from Studio MP Architettura e Design will be on hand to show you how Maker technologies and mindset might be implemented in your museum. 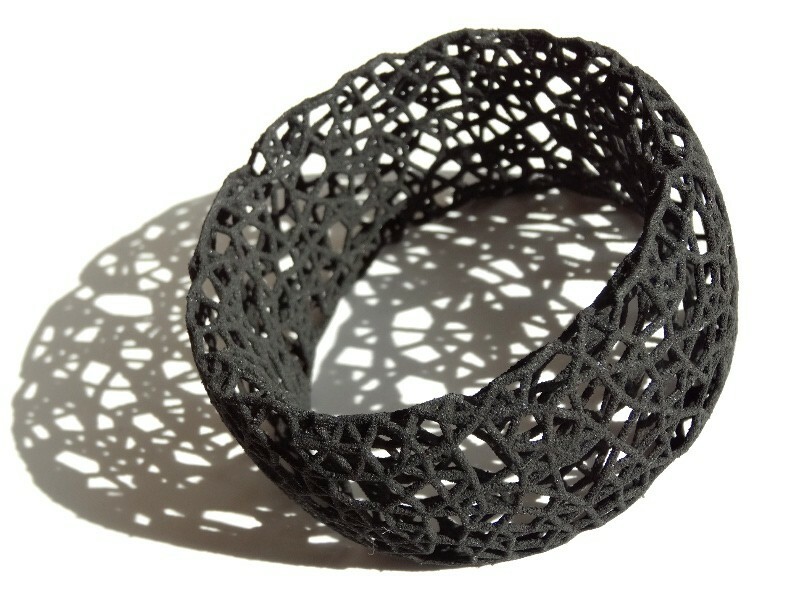 MakeTank is a marketplace where people who combine design and artisanship with digital fabrication and open hardware techniques can list and sell their work. 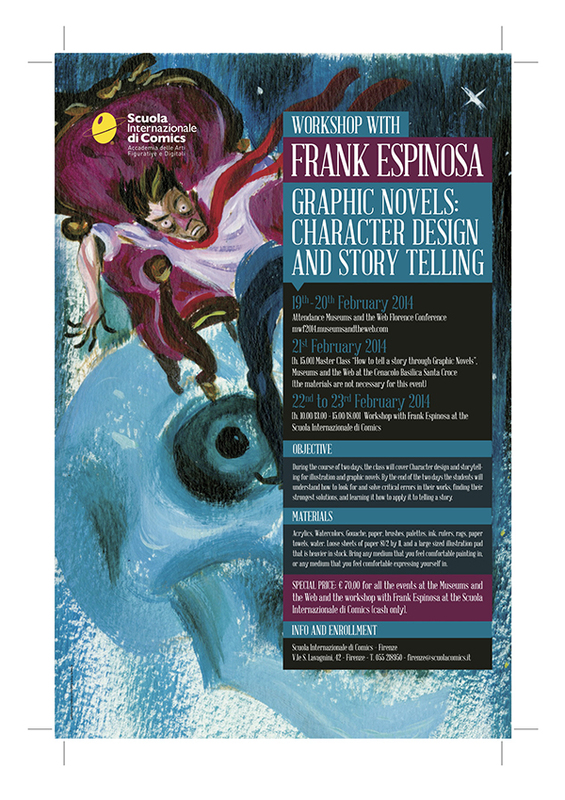 Join the masterclass on February the 21st at 3:00 at the Basilica of Santa Croce: How to tell a story with graphic novels (with Giuseppe de Micheli, Frank Espinosa, Stefania Ricci and Vanessa Petrucci) and then attend the Workshop held by Frank Espinosa at the Scuola Internazionale di Comics in Florence from 22 to 23 of Feb.